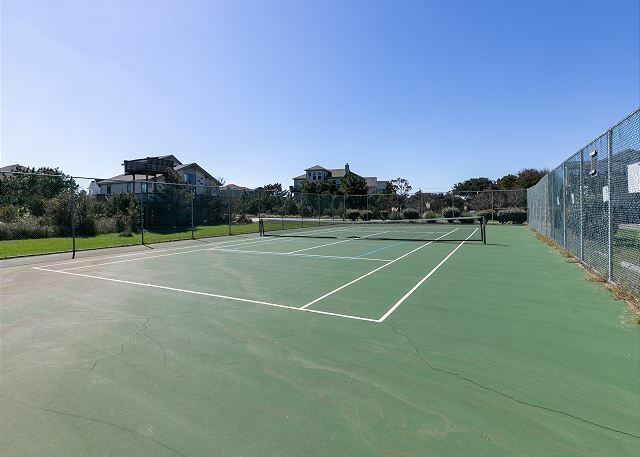 Formerly named Mimosa II, this charming 2-bedroom condominium is part of the Indian Summer Condos located within Ocean Sands, Section F. It is a well-maintained, bright and cheerful place to spend a week close to the beach access, just 350 feet away! Its size is perfect for couples or a small family with young children on a budget. The Dining area seats 4. The kitchen was recently upgraded with new cabinets and granite countertops. A porch swing is a pleasant spot to relax under a covered deck. 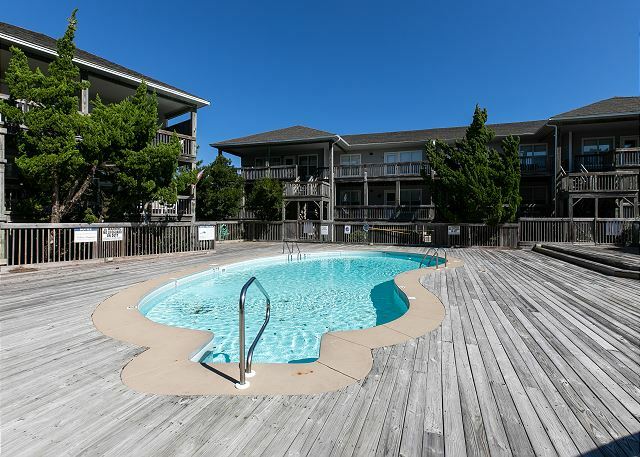 There are two bedrooms, each with a flat-screen TV: King Master Suite with flat-screen TV and another bedroom with both a Double and a Twin bed. The hallway bathroom has a shower/tub combo. 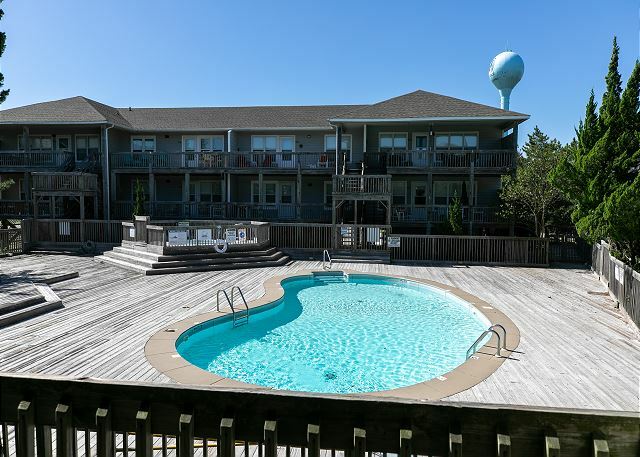 A large community pool is within a short distance of the front door and the community hot tub is available up to May 31st and re-opens again from Aug. 17th to Oct. 6th. 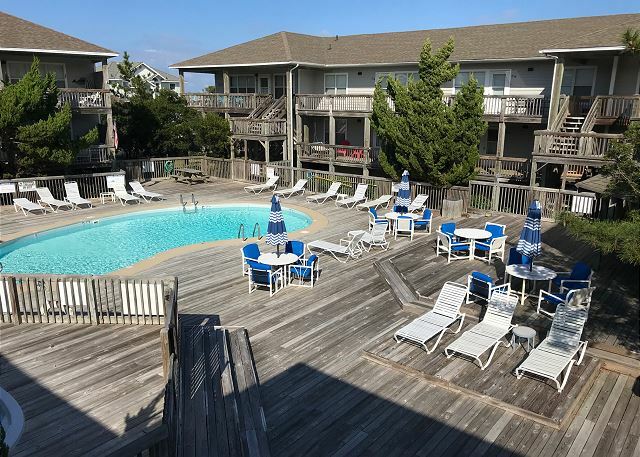 Look no further for your beach vacation in a prime location with plenty of local restaurants and shopping opportunities to choose from during the summer time!